In today's discussion we will talk about ArrayList in details, we will come to know properties of ArrayList and Examples of how to use ArrayList in java to get more from it. 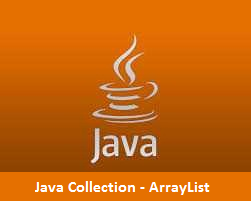 ArrayList is a useful class implementation of Java Collection framework. ArrayList implements Serializable, Cloneable, Iterable<E>, Collection<E> ,RandomAccess and List<E> interfaces and extends AttributeList, RoleList and RoleUnresolvedList class directly. ArrayList in resizable array of List interface, ArrayList can contains duplicate values, but does not allows null values and guarantee that the order of elements will remain same over the time. ArrayList provides a huge set of implementations, some of the basic and commonly used operations are listed below with proper example. A ArrayList object can be obtained as shown below, gnerics specification is optional but it is always a good practice to tell JVM about the content that is going to be stored in ArrayList . Use of generics eleminates the need of explicit type casting. ArrayList provides two methods to add elements to it, add() adds a single object at a time while addAll() can be used to add all elements from a specified collection to the ArrayList. ArrayList provides two methods to remove elements from ArrayList , remove() remmoves one element while removeAll() removes all elements from ArrayList that are present in specified collection. ArrayList provides clear() method to remove all elements from a ArrayList , it makes ArrayList an empty collection. Creates a shallow copy of ArrayList instance but elements does not coloned themeselves. While comparing a ArrayList and its clone using .equals(), it always returns a 'true'. ArrayList provides two very important methods, contains() returns true if the specified element is present in the ArrayList and containsAll() returns true if the elements in specified collection are present inArrayList . toArray() converts all ArrayList elements to an array and toString() represents a String form of ArrayList . retainAll() method returns only those elements from ArrayList that are present in the specified collection. Returns true if the specified element/collection is present in ArrayList, false in other case. ArrayList provides subList() method to get a sublist on the basis of provided first and last index values. ArrayList provides set() method that replaces the element at specified index with the one provided in method itself. The size of a ArrayList can be obtained using .size() method, it returns an integer value equals to the number of elements in the ArrayList . ArrayList provides two very useful methods indexOf() and lastIndexOf() to get first and last occurences of an element in the list. An iterator can be applied on a ArrayList instance using .iterator() method, hasNext() checks if the ArrayList contains more elements and .next() returns the next element in ArrayList . In this blog we saw how to use ArrayList in java, we went through examples of ArrayList in java and come across the various implementations and operations over ArrayList . In upcoming blogs we will cover more topics and tricks on Java Collection Framework and its usage in Java Language.